There is a growing understanding that the impacts of climate change affect different communities within a country, in a variety of ways—not always uniformly. This article reports on research conducted in the middle hills region of Nepal that explored climate change vulnerability in terms of exposure, sensitivity and adaptive capacity across different well-being groups, genders of the head of household and household location. In the study region, dry land farming has increasingly experienced climate-induced changes to farm productivity and natural resources. The experience of vulnerability to decreased livelihood options and natural resource hazards due to a changing climate varied according to household wealth and well-being status, with very poor and poor households more vulnerable than medium and well-off households. 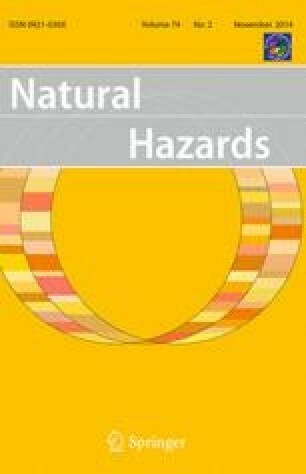 The research indicates that the climate change adaptation would benefit by considering: (i) differential impacts of vulnerability mainly based on well-being status of households; (ii) understanding of the local socio-political context and underlying causes of vulnerability and its application; and (iii) identifying vulnerable populations for the units of vulnerability analysis and adaptation planning. The online version of this article (doi: 10.1007/s11069-014-1218-0) contains supplementary material, which is available to authorized users. We honour the contribution of people in the research site for their responses, opinions and support during the field visit. We would like to thank Charles Sturt University and Institute for Land, Water and Society (ILWS) for hosting this research.